>> Direct Messaging (DM): An “Instant” Way to Grow Your Business. The internet has changed the way we communicate and learn. Communication is instant now. The idea of “instant” has become an expectation for communication, whether we’re communicating with businesses, people or anything else. Instant connection is what people crave and social media is the key to keeping up with anything and everything in life. Direct messaging takes this communication style to the next level, giving you the opportunity to reach out to people in ways you would not be able to otherwise: Instant connection! So why are we not utilizing this more in our marketing efforts? Instant connections with instant audiences which can result in instant actions? In this article, we will discuss the art of direct messaging and how you can utilize the customer’s “need to connect” for your business! Direct message marketing, or DM marketing, is a strategy that focuses on using social media DM features to privately develop relationships and business initiatives. Common social media platforms with direct messaging include Twitter, Instagram, LinkedIn, Facebook and Snapchat. For example, to access Instagram’s direct messaging feature, click on the paper aeroplane located in the top right-hand corner of your main feed page! Once opened you will see a list of your direct message participants! To access Facebook’s Direct Messaging feature, open your business Facebook page and click on “Inbox”. As you can see above, direct messaging is an easy, organized and “instant” way to connect with your potential customers! Despite the power of private messaging, the vast majority of marketers ignore the “instant” opportunities direct messaging brings! Of course, reviews, posts, likes, shares and other engagements are crucial to your social media presence, but not every action needs to be in “plain view”. This is where direct messaging is particularly useful. Networking is definitely a thing in today’s world. Whether it’s attending evening mixers, conferences or even simply making new friends, we all have experienced wanting to get in touch with the right people! Direct messaging helps people connect with others in ways they never would have otherwise. That level of “reach” is powerful! Using DM on social media empowers you to connect with the right people and find your dream customers! You might not know these people directly, but it’s totally socially acceptable to “meet” them digitally! A direct message is a great way to get promotions, sales and other business results in an instant and personalized way! Whether it’s sharing a URL tagged image, a message to visit your link in bio or something else, direct messaging can be a personalized way to inform people of things coming up, being run or changing in your business! Direct messaging allows meaningful communication about your brand, its services and who you are as a business! Online businesses communicating with customers often use direct messages for order and product questions, telling clients about how they can invest or become involved with your business or simply to reach out for reviews out of the public eye. This can be a meaningful way to create a positive and unique customer experience that can set your business apart from the others. No business has gone without a negative review or experience with customers. It will happen and you cannot escape the fact that you cannot make everyone happy…but you can try! Public negativity towards your business can have a significant impact on sales! No business wants that, so it’s important to resolve issues whenever you can. Though it’s important for brands to address negative criticism, you don’t always have to air your dirty laundry out for the social media world to see! Direct messaging can be a great way to resolve issues privately, effectively and personally with unhappy customers. The efforts will be appreciated and remembered. So how can you use these principles effectively in your direct messaging? Let’s get creative! As I’ve mentioned several times, direct messaging can add a lot to your customer service, brand awareness, promotional and business efforts. But how do you make the most of direct messaging? The vast majority of marketers ignore DM opportunities, choosing instead to spam every new follower with a worthless, automated spiel but this will not be you! 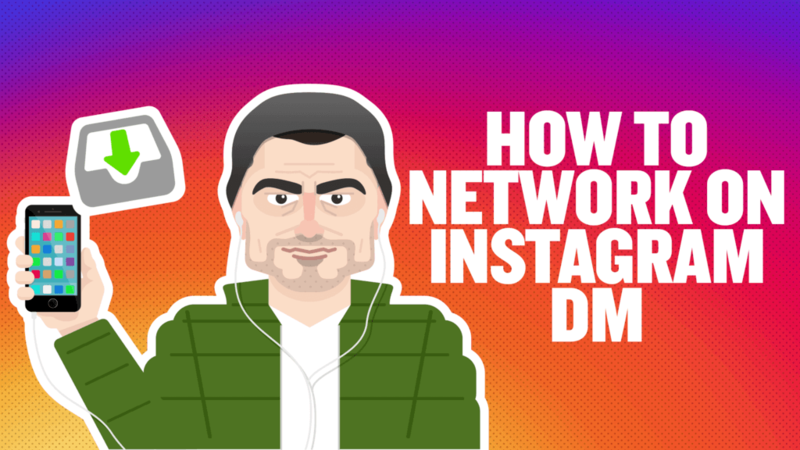 Now that you know more about creating “instant” connections with your current and potential clients using direct messaging, you can take your business to the next level. It is time marketers took the art of direct message marketing seriously and now you have the tools to do so! Communicate with your audience the way they want to: instantly! What are some of the best direct messaging tactics you have seen? Leave your thoughts in the comments!